Hello and welcome! It’s a great day to stop in to Chatfield Court because today is the first day of our fall tour, the Welcome Fall Home Tour. Over the next 4 days, 16 talented bloggers will open up their homes and share ideas and inspiration on how they welcome fall into their own homes. Make sure you read to the end of the post to find the links for today’s participants. There’s so much to see today, so grab a cup of coffee and let’s get this tour started with our little cottage all dressed for fall. Enjoy! We just finished phase one of a redo in the sunroom so I had fun adding a few simple fall touches in the newly reconfigured space. I usually decorate with traditional fall colors, adding in a little orange, but decided to try something different this season. The living room also had a little redo this year (here and here) so it’s like I’m decorating a new space. 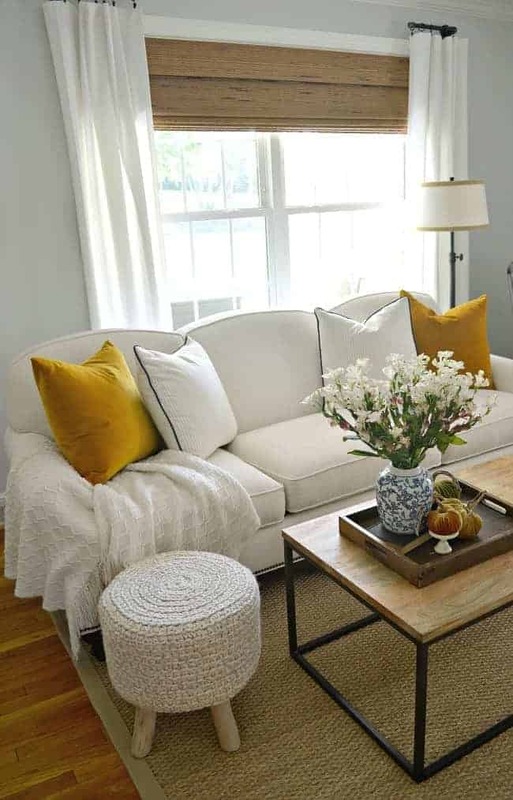 It’s amazing what a new paint color and simple curtains can do for a space. I actually kept it really simple and used most of the same pillow covers that were out all summer. I just added a pop of gold, a cozy throw and some fall flowers and called it done. Super simple. As usual, I added a lot of natural elements. 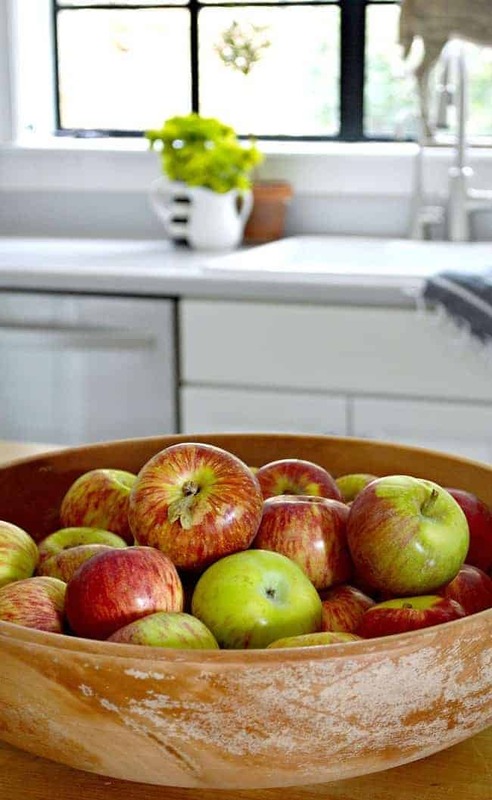 Apples, fresh flowers and even branches from the yard help to add that fall vibe to the cottage. Decorating your home for fall doesn’t always have to be about pumpkins. Just like the sunroom and living room, the kitchen and dining are also underwent a makeover since last fall. I’m still loving the black casement windows that I tackled this year. It was a time consuming project but the results are better than I could have imagined. The kitchen/dining area has become my favorite space to decorate. I love to change things around. The hubs doesn’t love it but it makes me happy. I always switch the bedding when the seasons change but I don’t really worry about adding fall touches. This year, though, I decided to add a bit here and there. 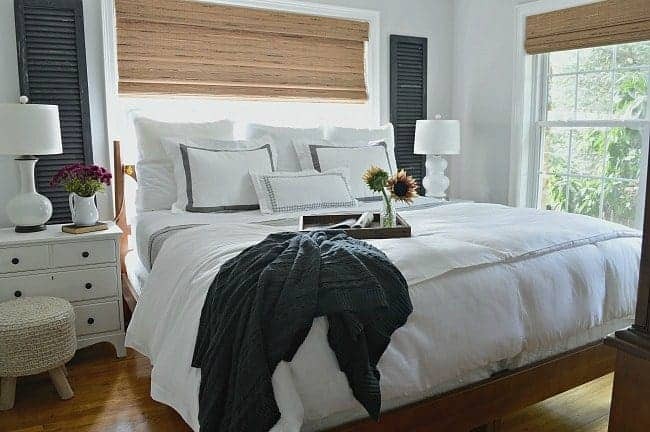 I recently shared the master bedroom and 5 tips to create a cozy fall bedroom with crisp white sheets, fresh fall flowers and lots of texture with throws, blankets and a knitted stool. We can’t do a whole lot in here, it’s just so small, but it’s just enough to give it that cozy, fall vibe. I love how the cottage feels all decorated for fall. In the short time we’ve been here it’s become my favorite season to decorate. Thanks so much for stopping by and touring our little cottage. It all looks so pretty, Kristi! I like all the natural elements and the beautiful pops of Fall’s rich colors. Thanks so much, Carol, I appreciate it! Your Fall decor looks beautiful. 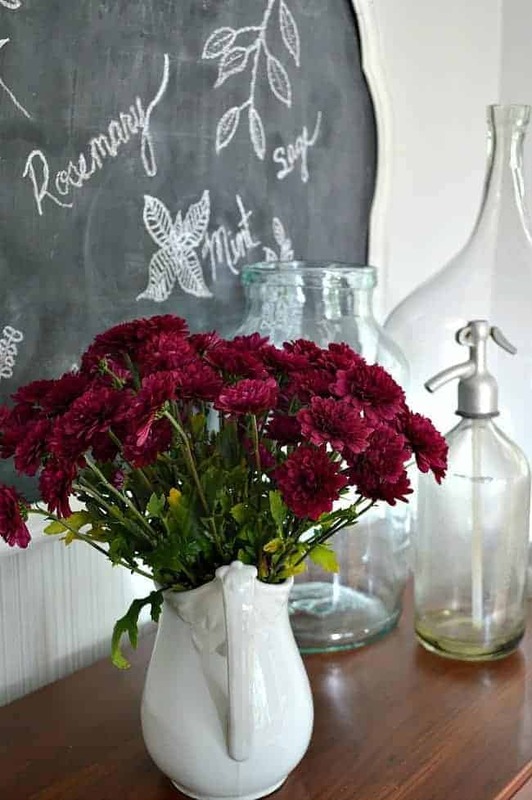 I particularly love the arrangements of the burgundy and chartreuse mums–such a pretty combination! Your whole house is beautiful. That bedroom! It looks like a bed and breakfast 🙂 Love it! Thanks Stacy! The master is such a small space and it’s definitely a challenge to decorate but we love the coziness. I love all your fall additions. I think my favorite photo is the one of the sunflowers in the living room. Gorgeous! 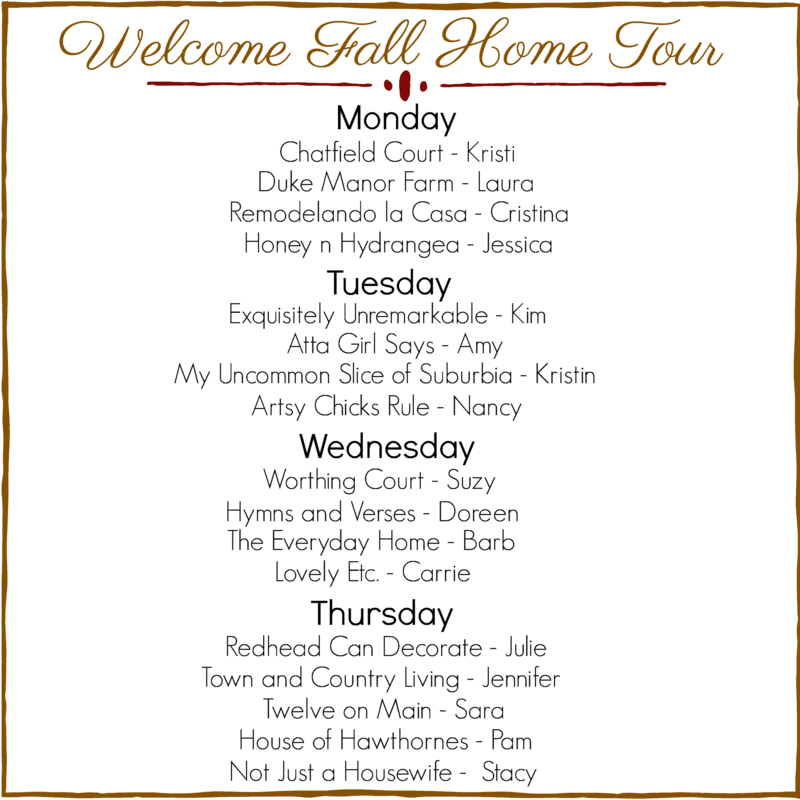 And thanks again for putting together the fall home tour! Thanks so much, Pam! Those sunflowers are my favorites. Every time I see them I pick them up. I’m so glad that you were a part of our tour. 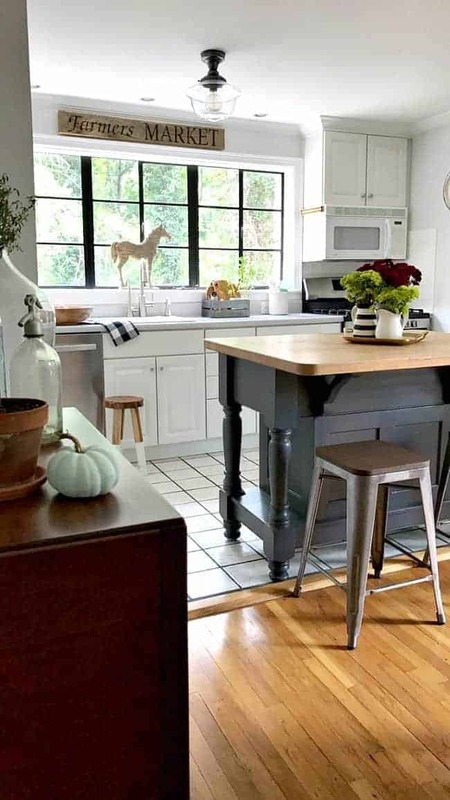 Kristi, you little cottage is looking so good with all the updates and I love your simple fall additions. Thanks so much Barb! It is coming along but we have a lot left to do. I wouldn’t have it any other way though. 😉 We do love out sunroom and use it everyday to relax and discuss our day. You have such a talent for adding just the right amount of seasonal touches to your home! Every single space is so pretty and is so “you”. I just adore your sweet cottage. Thank you for putting the Welcome Fall Home Tours together! You are so sweet, thank you Suzy! I’m still learning what works in our small space so I appreciate your kind words. Thank you so much for taking part in the tour and sharing your beautiful fall home with us! Thanks Julie! I bought those apples and didn’t realize how much there were but I ate every last one. 😉 I appreciate the share. 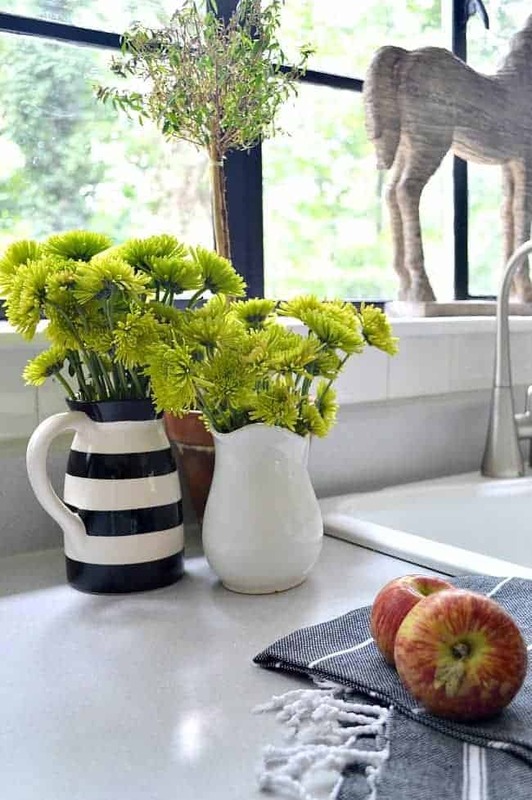 Your lovely home looks just right with the simple touches you’ve added for fall. Kristi, The cottage is looking so cozy and fresh, decorated for fall! I also still love your beautiful black painted casement windows!!! I’m looking forward to checking out the other fall tours your hosting, thanks for sharing! Thanks so much Kaycee! The windows are my fav too. 😉 I appreciate you stopping in. Hope you enjoy the rest of the tour. Thanks so much Nancy! 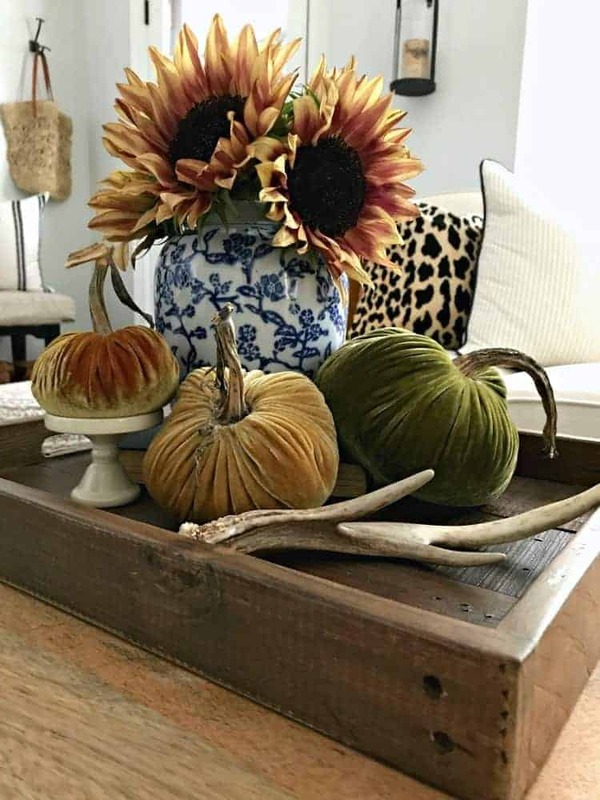 Natural elements are my go-to when I decorate for fall. Love using them! This is really beautiful! I love the way you mixed the hues of fall with the light and bright decor of your home. 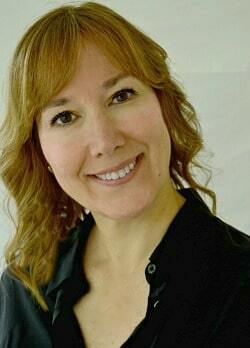 Kristi, your home looks so warm and welcoming! Love all your subtle touches. Thanks so much Kristin, I appreciate it! I just love your home Kristi! You and Hubs have done a fabulous job. I can’t wait every week to see what you have done. Thanks for the tours, I’m on my way now to view them. So sweet, thanks you Brenda. People like you are the reason why I love to do this everyday. I’m so glad you are enjoying the tours. 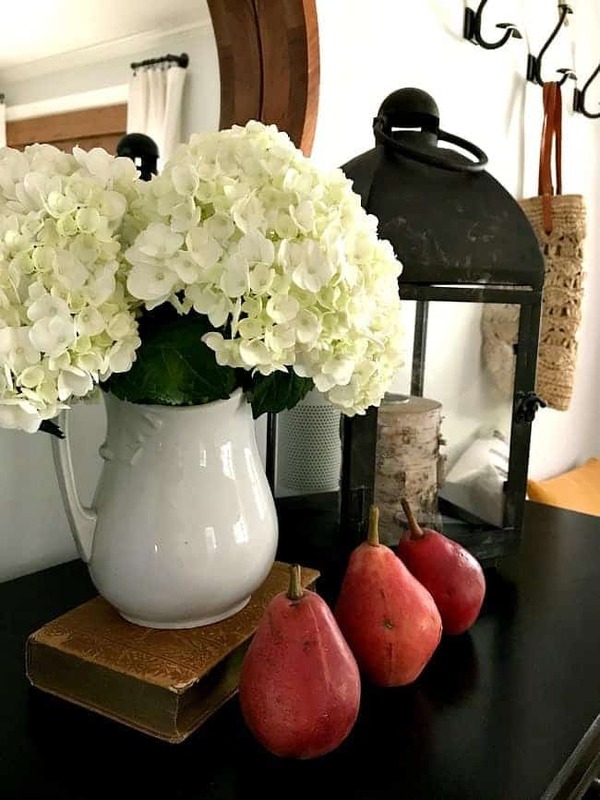 I love the simplicity in your Fall decor Kristi! Still you can feel the coziness and beauty of Fall in your entire home! Beautiful! Thanks so much Vel, I appreciate it. Decorating our small home for fall, or any holiday, has been a learning experience but I’m getting the hang of it and loving the simplicity. I love your wonderful home and your lovely and simple decor is perfect. Thanks for these tours, i need some fresh ideas. Thanks for your sweet comment Marlene. I hope you are getting some great ideas for the different tours. Kristi, love the way your place is all dressed up for fall! I took a quick peek at the others and it is amazing how many different ideas there are for fall decorating. Gets me thinking about my place. Thanks MJ. It is amazing how many different ideas there are for fall decorating. So glad that they are inspiring you. Kristi!! I absolutely adore your cottage dressed up for fall. I love the warm rich colors you used and your bedroom has just the right touches. After seeing your velvet pumpkins they are now on my list of must haves. Thank you so much for including me on this tour!! I am so happy to be part of the fun. Thanks so much, Jessica! The velvet pumpkins are my absolute favorite thing to pull out every fall. It wouldn’t be fall without them. Thanks for joining in on the tour and sharing your beautiful fall florals. Thanks so much Chris! So glad you enjoyed the tours. 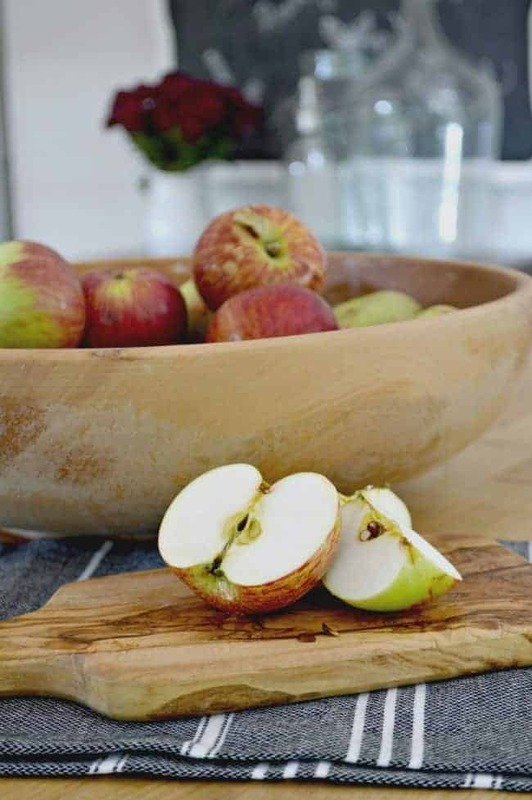 Love your clean simple decor for fall. I may need a decor intervention…once I get started can’t seem to quit until there is a lot out! Need lessons from you 🙂 Still, I find fall decor warm and cosy. I usually keep things white and off white except from October through December when color gets a field day. Thanks so much Jillian! Decorating the cottage for the seasons has been a learning experience. I’m not sure I am quite where I want to be but I’ll figure it out. 😉 That’s great that you go with color from October through December. Best time of the year to let the colors fly. (Sorry this is so late. I thought I replied to everyone but it is not showing up on the blog). Your cottage is just amazing. I love every new thing, every change that you do. Your home is what I strive to accomplish in my own and our tastes are so similar, you can do no wrong in my eyes. Still looking forward to seeing the reveal of the new bath and closet. 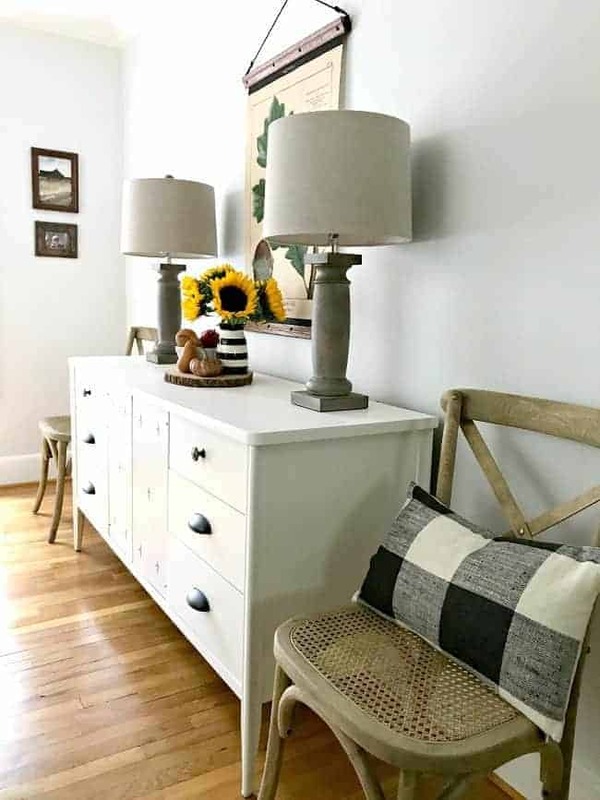 Finding that space and incorporating it into your small square footage is a design miracle. Awww, best comment ever. Thanks so much Pat, you made my day. 🙂 The bathroom and closet are coming along, slowly. We had some major plumbing issues (old house) but hopefully we’ll get that all squared away by the end of this weekend. Yay! I’m so looking forward to using my new powder room (and cleaning up the construction mess). Thanks for stopping in. (Sorry this is so late. I could have sworn I answered your comment but I see no reply). 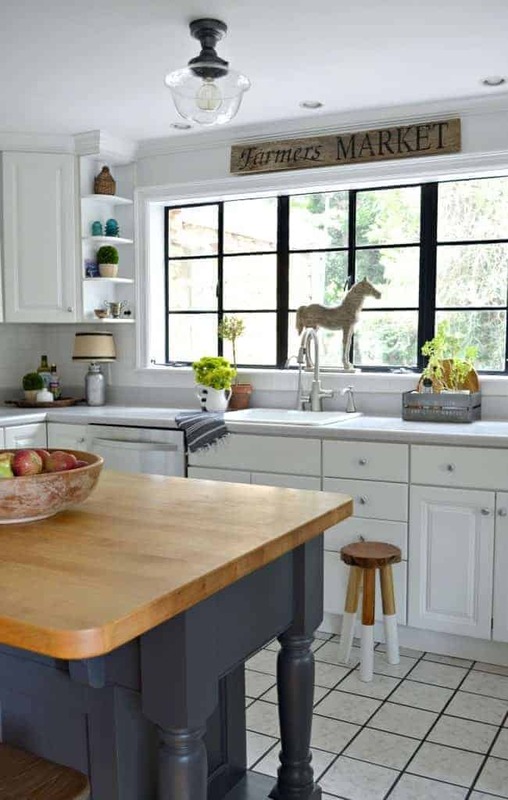 Just love your kitchen and the black window trim. If I had that kitchen I would live in it. LOL Off to explore some other Fall decorating. Thanks so much Debbie! We love the kitchen too! It’s our favorite space to be in. Thanks for taking in the tours. (Sorry this is so late. I could have sworn I answered your comment but I see no reply). of color! I like that horse on the window sill. Thanks so much for hosting! Thanks so much Cristina! It’s always fun decorating the cottage for fall. I’m so glad that you joined us on the fall tour. congrats on your first phase in the sunroom. 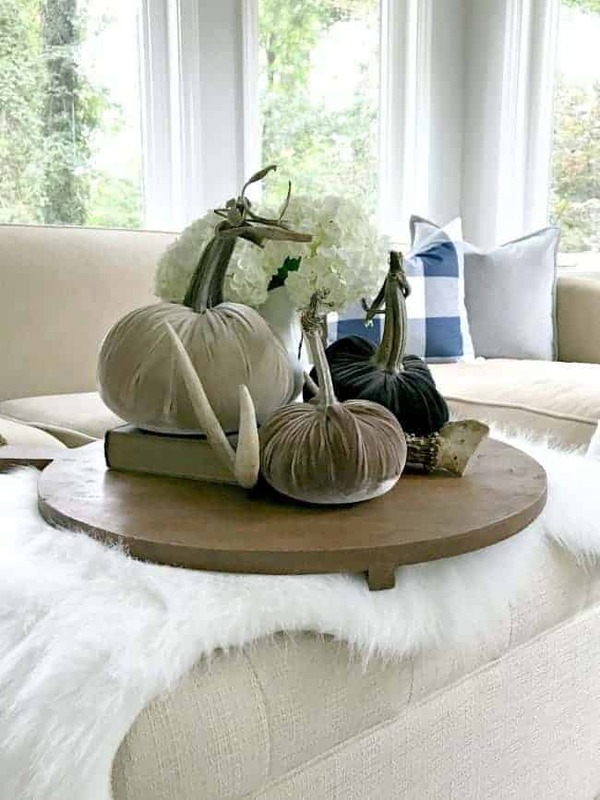 i love how a few small touches can help us achieve the look we want and allow us to enjoy the season of fall without a lot of fuss. thanks for including me on the tour this week. Thanks so much Laura! We are loving the sunroom after the makeover and it was fun to add a fall touches to it. Thank you for taking part in the tour. Beautiful Kristi! Your place looks beautiful dressed for fall…and thanks for hosting the hop. I can’t wait to check out all the autumn pretty! Thanks so much Kim! It’s become my favorite season to decorate our cottage.